Water Heater Repair, FishHawk, FL | A Step Above Plumbing Inc. Water Heater Repair, FishHawk, FL | A Step Above Plumbing Inc. There are a few things you can do when determining the need for water heater repair in your FishHawk, FL home. 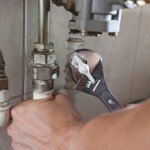 Water heater repair is an important part of your home maintenance to-do list. With a the lifespan of a water heater being between 10 and 25 years, depending on a number of factors, water heater repair can quickly correct minor failings as well as help your appliance complete its full life span while functioning efficiently. Factors like water quality, rate of usage, type of tank or lack thereof, and heating source all contribute to what lifespan can reasonably be expected from a water heater and how often a water heater repair may be needed. Because water in a water heater tank can be hot enough to scald and cause severe burns, it’s never a good idea to repair the water heater yourself. In addition, a heat source such as gas or electrical element brings a level of complexity and potential danger that makes water heater repair by a professional universally recommended. In order to expedite this process, here are a few things you can do when determining the need for water heater repair in your home. First, is there water leaking from the water heater? The inlet pipes or outlet pipe may spring a leak, especially where they are attached to the tank. If the water is very hot, this usually means that the water heater tank is ruptured or leaking and will most likely require replacement. Second, is the heat source for the water heater working appropriately? Gas water heaters and electric water heaters have different parameters and sources of power, so knowing what the heat source is becomes essential to determining the source of any malfunction. At A Step Above Plumbing, we are proud to serve FishHawk, Florida and the surrounding communities. Let us help you today!